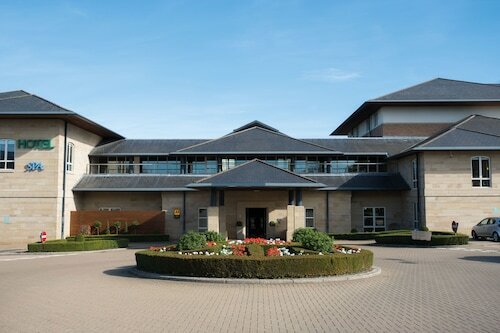 Situated in a rural location, this spa hotel is within 9 mi (15 km) of Bramham Park, Lotherton Hall, and Wetherby Golf Club. Roundhay Park and First Direct Arena are also within 12 mi (20 km). Situated near the airport, in Tadcaster, this guesthouse is in the same region as Lotherton Hall, Selby Abbey, and Wetherby Racecourse. Regional attractions also include Temple Newsam House and All Saints Church. Situated in a rural location, this historic property is 4.4 mi (7.1 km) from Lotherton Hall and within 12 mi (20 km) of Bramham Park and Wetherby Racecourse. Temple Newsam House and Townclose Hills Local Nature Reserve are also within 12 mi (20 km). Situated in a rural location, this historic property is 4.3 mi (6.9 km) from Lotherton Hall and within 12 mi (20 km) of Bramham Park and Wetherby Racecourse. Temple Newsam House and Townclose Hills Local Nature Reserve are also within 12 mi (20 km). 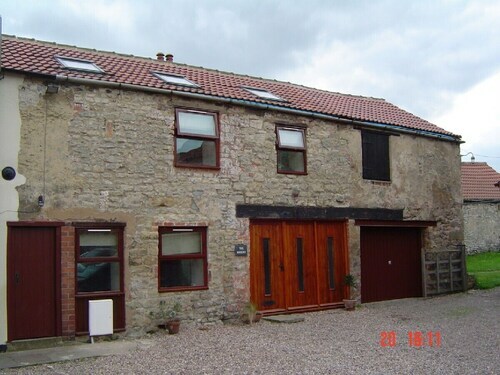 This family-friendly Tadcaster property is located in a rural location, 3.8 mi (6 km) from Lotherton Hall, and within 12 mi (20 km) of Bramham Park and Temple Newsam House. Junction 32 Outlet Shopping Village and Townclose Hills Local Nature Reserve are also within 12 mi (20 km). Church Fenton Station is 27 minutes by foot. Located in the heart of Leeds, this inn is within 9 mi (15 km) of Lotherton Hall, Towton Battlefield, and Townclose Hills Local Nature Reserve. All Saints Church and Garforth Golf Club are also within 9 mi (15 km). Sherburn-in-Elmet Station is 18 minutes by foot and South Milford Station is 21 minutes. 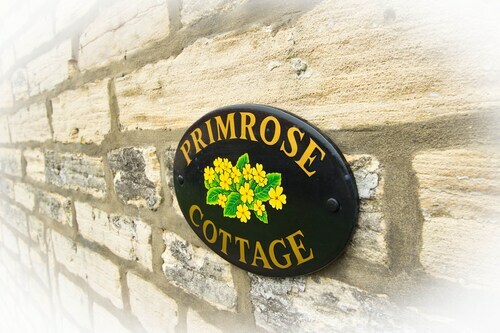 Situated in Tadcaster, this guesthouse is 4.3 mi (6.9 km) from Towton Battlefield and within 12 mi (20 km) of Bramham Park and Temple Newsam House. Lotherton Hall and Selby Town Hall are also within 12 mi (20 km). Church Fenton Station is only a 2-minute walk. 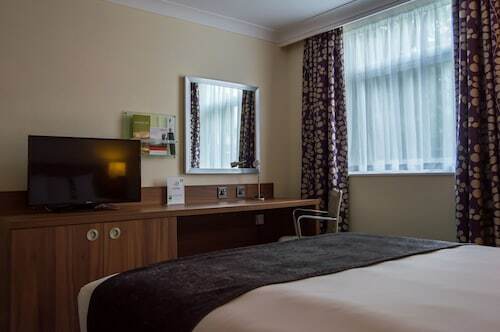 This family-friendly Leeds hotel is located in a rural location, within 3 mi (5 km) of Townclose Hills Local Nature Reserve and Crossgates Shopping Centre. Temple Newsam House and Castleford Queens Park are also within 6 mi (10 km). Garforth Station is 29 minutes by foot. Learn about significant events from times long gone when you visit Lotherton Hall. You will find it in Leeds, 35 miles (56 kilometers) from the popular city of Manchester. Within 6 miles (10 kilometers) of Lotherton Hall, there are 7 accommodation options available. The Best Western Plus Milford Hotel and The Old Presbytery Guest House are two establishments to consider. 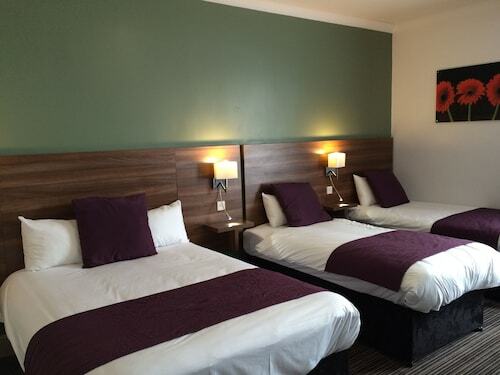 If you are seeking a budget-friendly hotel, have a look at the Wheldale Hotel, 6 miles (10 kilometers) away. Time spent at the Hazlewood Castle Hotel & Spa, BW Premier Collection is worth every dollar. It is the only luxury hotel in the area, situated 3 miles (5 kilometers) away. 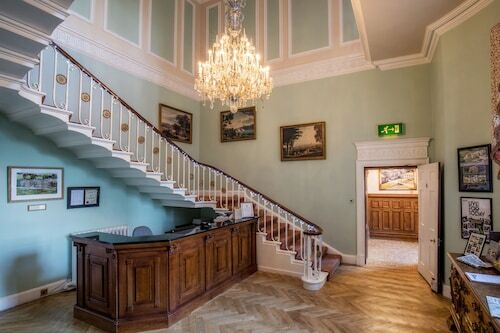 Only 0.1 miles (0.2 kilometers) away, The Stables Cafe (Lotherton Lane, Leeds) is a splendid venue for a bite on-the-go or a coffee while visiting Lotherton Hall. Spend a few hours at Towton Battlefield and you'll get a sense of the location's historical significance. You can show off your posture, stance and swing at Garforth Golf Club. Revisit the past with a stop at Bramham Park, a building recognized for its historical significance. Left alone to let nature flourish, Townclose Hills Nature Reserve is a peaceful place to spend some alone time. Luckily, some places are so important in history or nature that they're protected. Fairburn Ings is one of those places. How Much is a Hotel Room in Lotherton Hall? Hotels in Lotherton Hall start at $43 per night. Prices and availability subject to change. Additional terms may apply.